A Tyrannosaurus Rex nibbles on a beaten Dromaeosaurus. 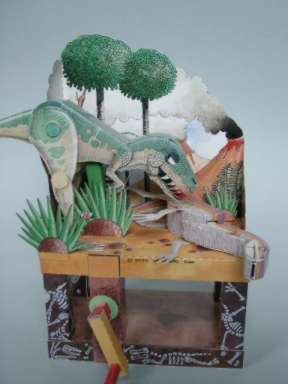 Newstead's model is part of a children's book about the dinosaurs. The book includes 16 pages with text and four pages with instructions. The construction sheets are stitched in the middle of the book.